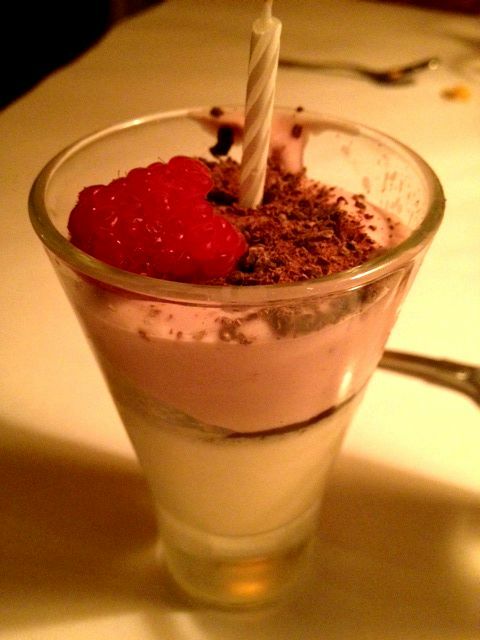 Brio Tuscan Grille will offer you something free for your birthday if you sign up for their emails. With that news, I was sold. I was also pleasantly surprised when I finally received my birthday prize in my inbox and saw that I would receive an entire entree for free. Jackpot! What was offered to me was the Beef Medallions with Shrimp Scampi, but we'll get to that later. To start from the beginning, my mom and I had plans to go out to dinner prior to a concert. 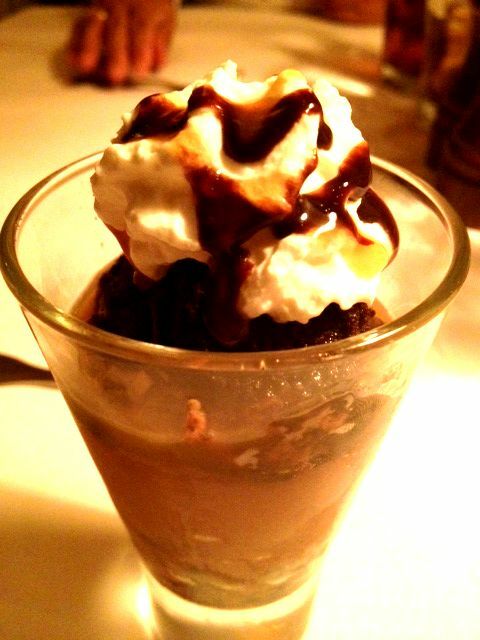 Being that I got a free meal at Brio, I wanted to go there. I had walked past Brio a dozen times in the plaza at International Mall and wanted to try it, but just hadn't had the opportunity. I was immediately impressed with the decor. It had just the right amount of light, the room was spaced well, the colors and decorations were perfect for a Tuscan feel. 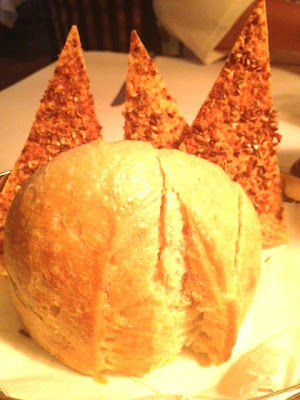 While my mom was trying to decide on a dish (a feat in and of itself when everything sounds so appetizing), our waiter brought us bread. The sourdough roll came out nice and warm. The butter instantly melted onto the bread and we went to carb heaven. The Flaxseed bread was also a pleasant surprise. It was the perfect amount of crispy. When the waiter came back, I gave him my birthday coupon and my mom decided on the Lasagna Bolognese Al Forno. Each of us added a Brio Chopped Salad to our meal for an additional $3.95. Turns out, it was the best $3.95 I've ever spent on a side salad. 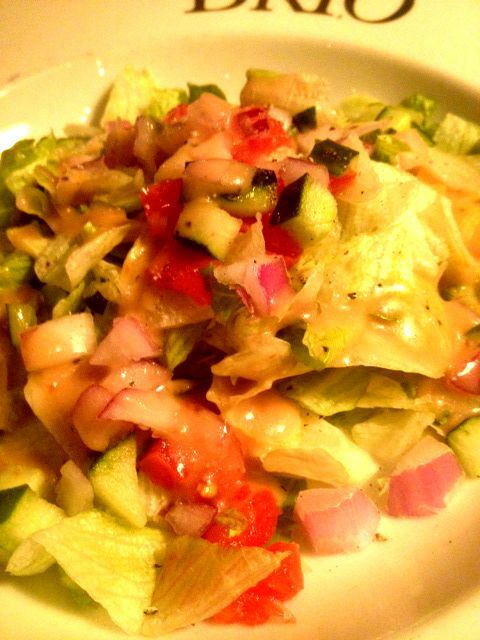 The salad consists of chopped greens, olives, onions, tomatoes, feta cheese and cucumber, with a red wine vinaigrette. I consider myself a vinegar fiend. I've tried the house vinaigrette in countless restaurants. I make my own vinaigrette. From red wine to balsamic, from white wine to apple cider, I love all vinegars. These was something about this salad that stood apart from all other vinaigrette salads that I have ever had. I really could not get enough of the dressing. After, it was time for our entrees. The lasagna is oven baked and layered with authentic Bolognese meat sauce, Alfredo, Ricotta and Mozzarella and it was divine. Coming from an Italian background and just loving pasta in general, I have never tasted pasta like this before. 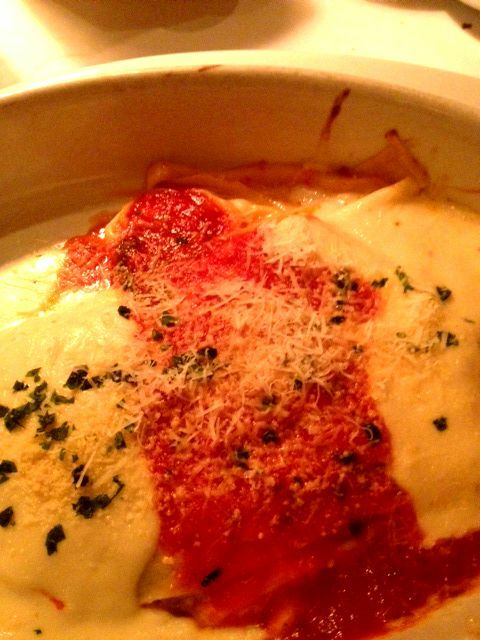 Sure, I have had complete dishes that I have thought were on par with this dish and some even better, but the lasagna sheets themselves were unlike anything I have experienced. The pasta was so light and airy that it felt like it was melting in my mouth and, for a moment, I forgot about all the wonderful flavors contributing to the meal from the sauces and cheese. The Beef Medallions with Shrimp Scampi consisted of three 2 oz. tournedos with marinated shrimp, served over orzo. Mixed into the orzo was sauteed zucchini, asparagus, grape tomatoes and fresh thyme. The entire dish was topped with citrus garlic sauce and pesto bread crumbs. I couldn't believe how fantastic this dish was. Not really being a steak girl myself, I was surprised by how much I loved everything. The steak could not have been cooked any better. I requested well-done (no pink) and while you would usually lose some tenderness that way, they didn't. The filet and shrimp paired with the citrus garlic sauce so well. I would not be shocked to learn that careful and tedious precision was taken during the dish conception stage to ensure that the sauce mixed perfectly with the other components of the dish. During dinner, the General Manager, Jessica, came to our table. We gushed over the food and the service (our waiter was attentive and charismatic) with her, explained that it was our first time at the restaurant and my birthday dinner. Jessica engaged us in enjoyable conversation and she was a pleasure to speak with. She then offered to comp our dessert choices! The Panna Cotta was mine; the cake was my mom's. As stuffed as we were, we still devoured these delicious Dolchinos (individual samplings). Given that their entree portions are rather large, I'm glad Brio had several Dolchinos to choose from. I had a hard time deciding before finally opting for the Panna Cotta, but also on the dessert menu is Seasonal Creme Brulee (Hazelnut, at our visit), Butterscotch Pecan Bread Pudding and Tiramisu, among others. Food aside, the service is outstanding. We spoke to no less than 5 employees (some managers and some waiters). We were always paid attention to, in a good and not at all overbearing way. Really, I can probably go on and on about what a great experience I had at Brio, but I think you should all try it for yourself. If you have the same experience I did, it'll become a favorite. 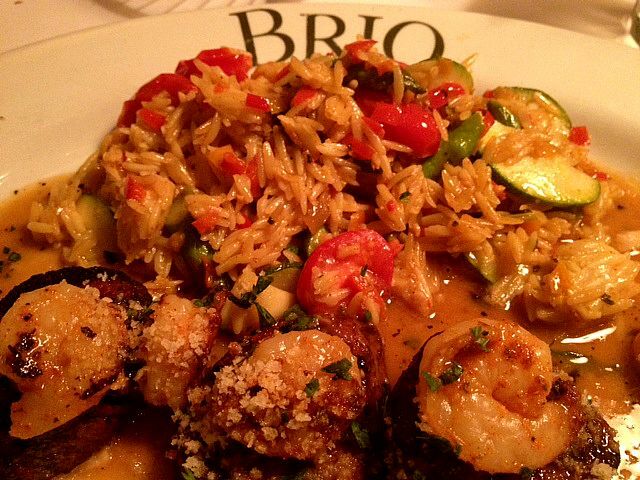 Brio offers brunch, lunch and dinner, as well as $5 Martini nights! I need to move to Tampa....this place looks like heaven.